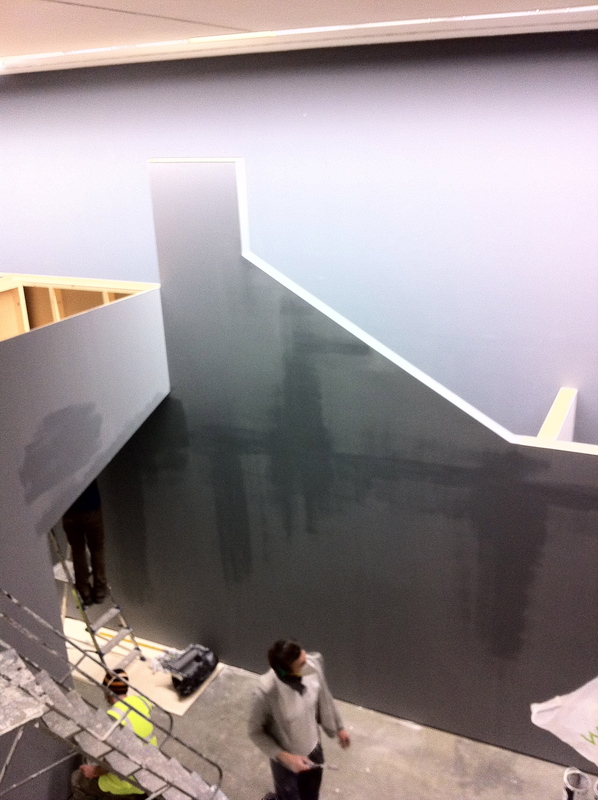 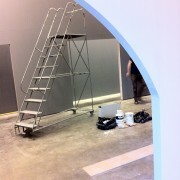 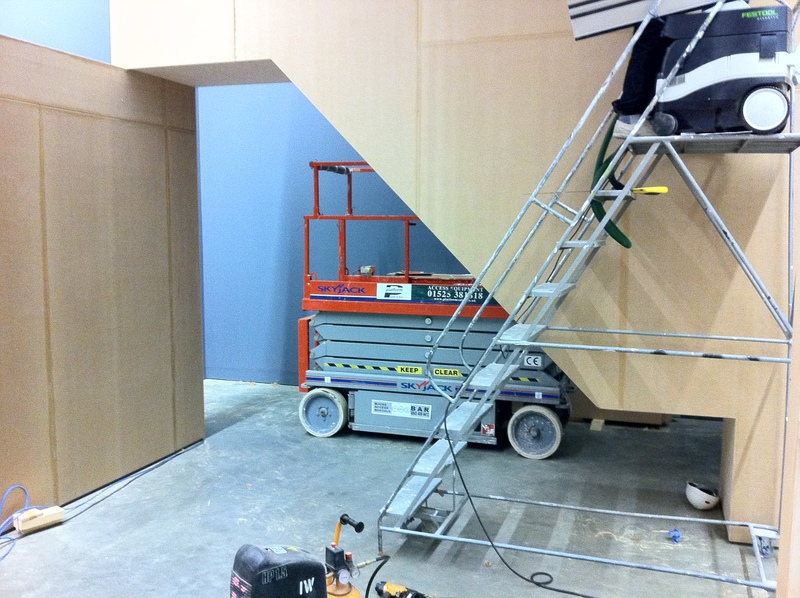 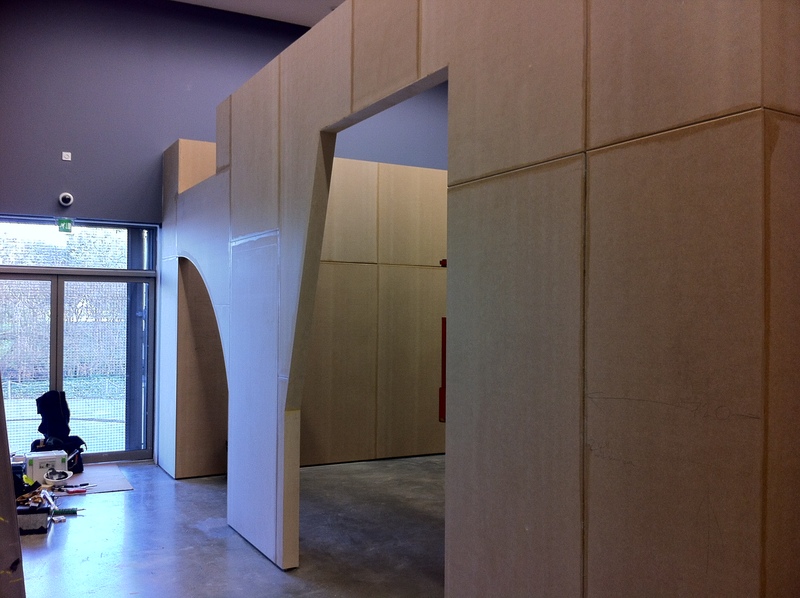 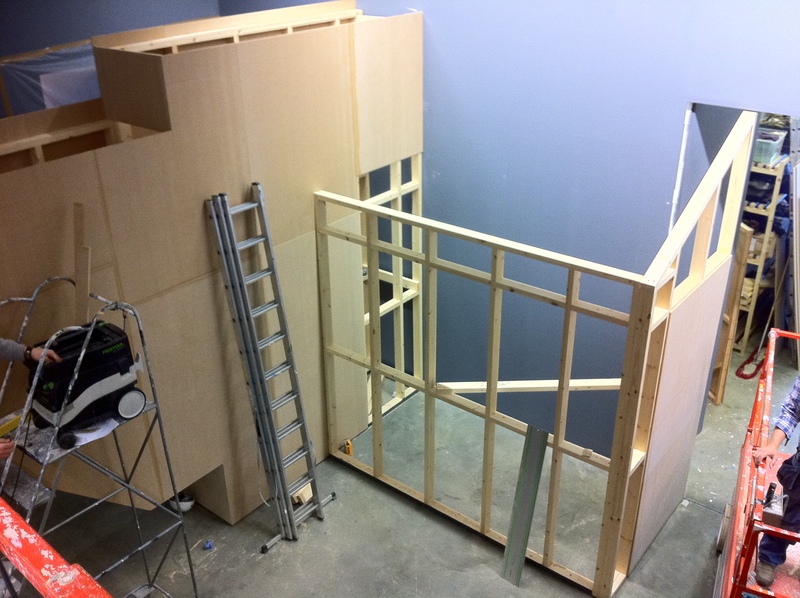 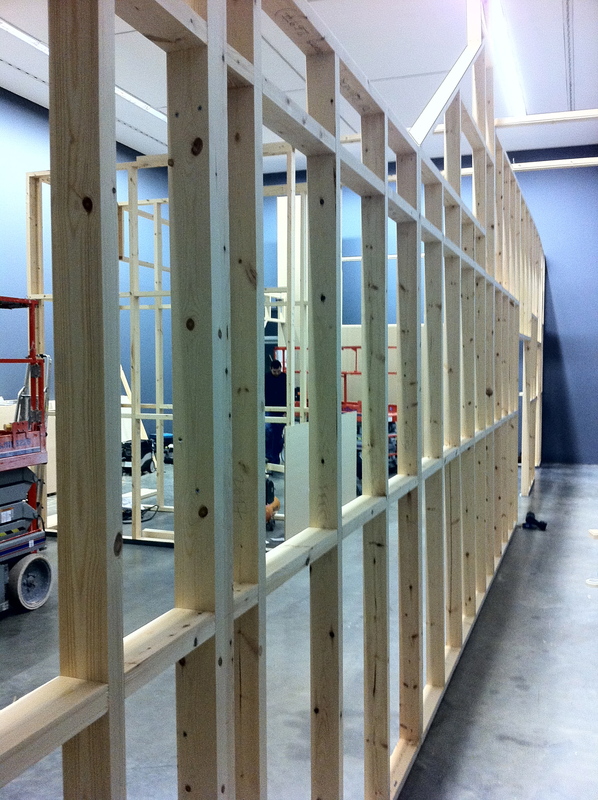 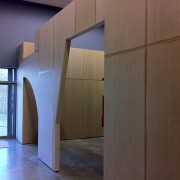 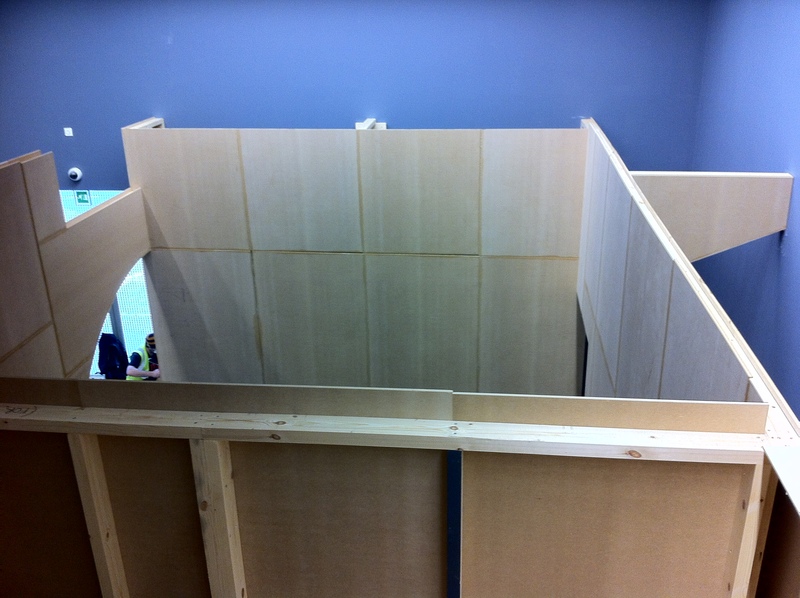 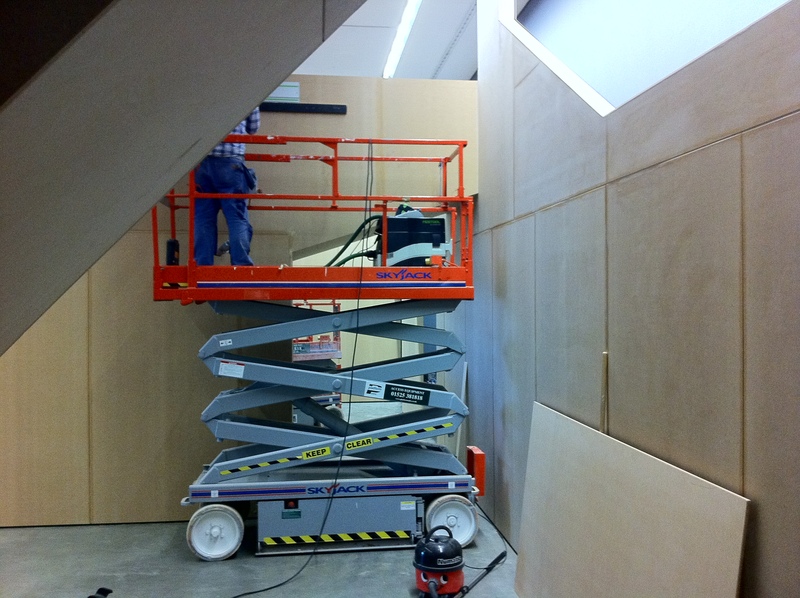 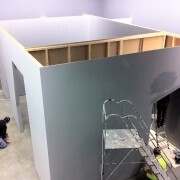 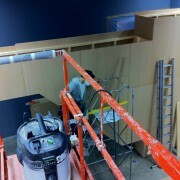 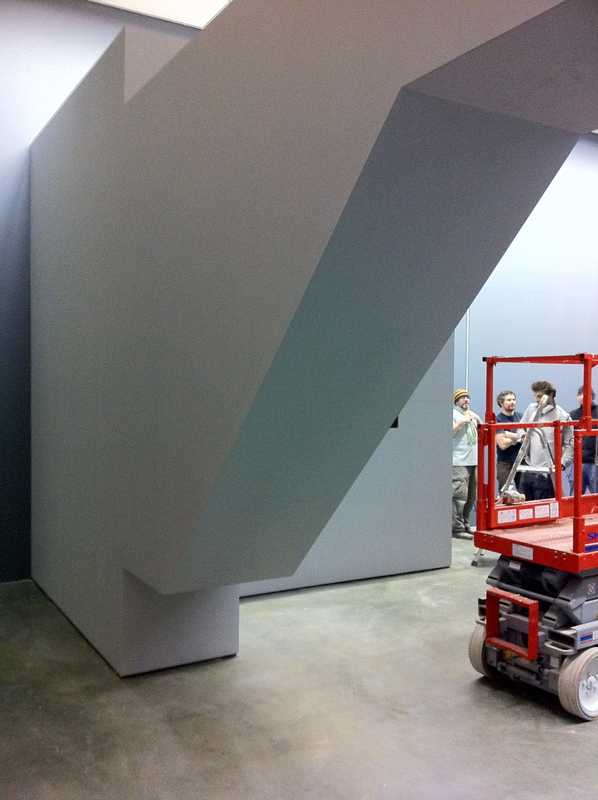 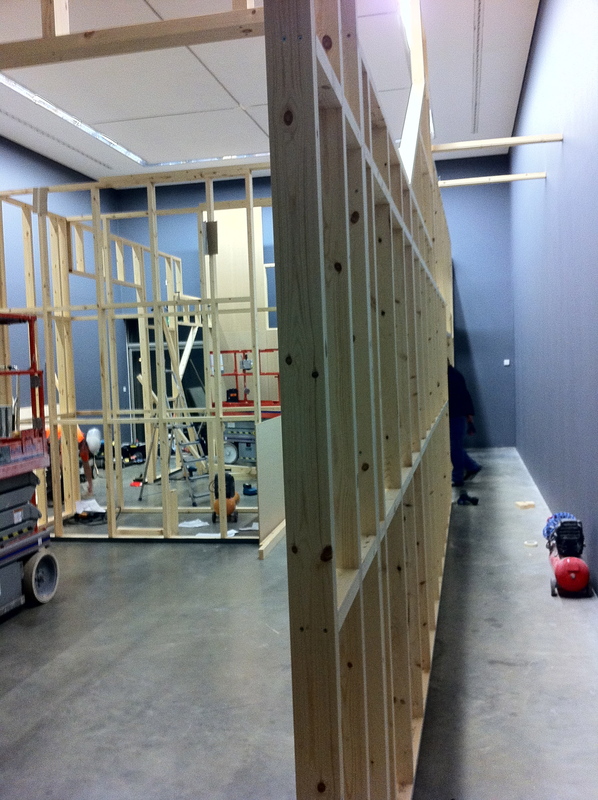 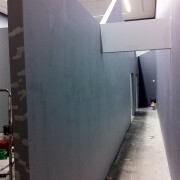 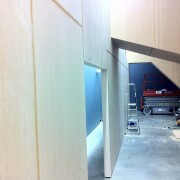 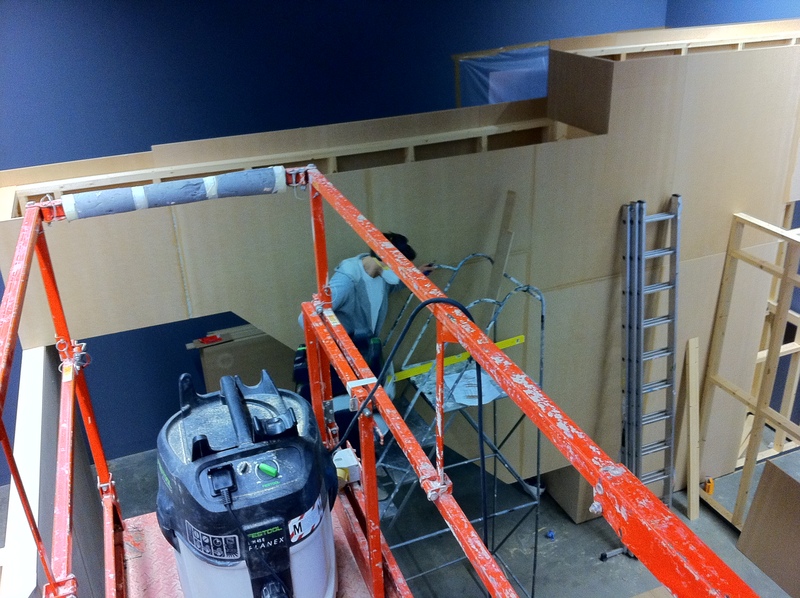 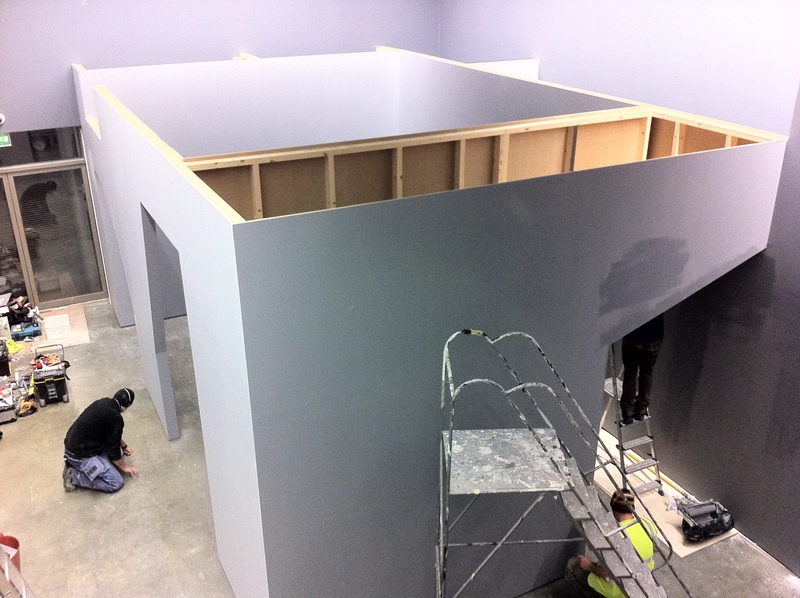 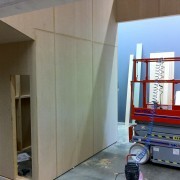 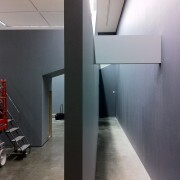 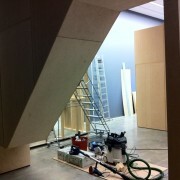 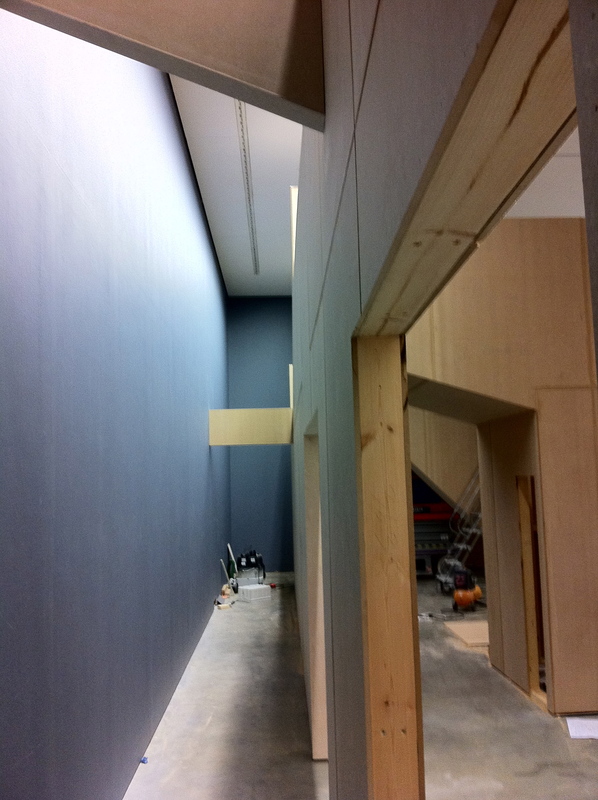 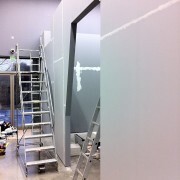 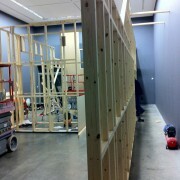 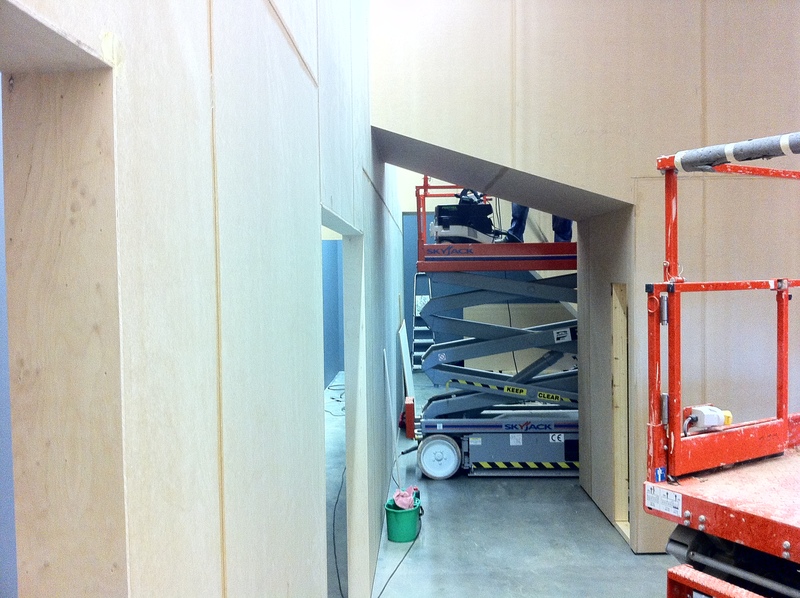 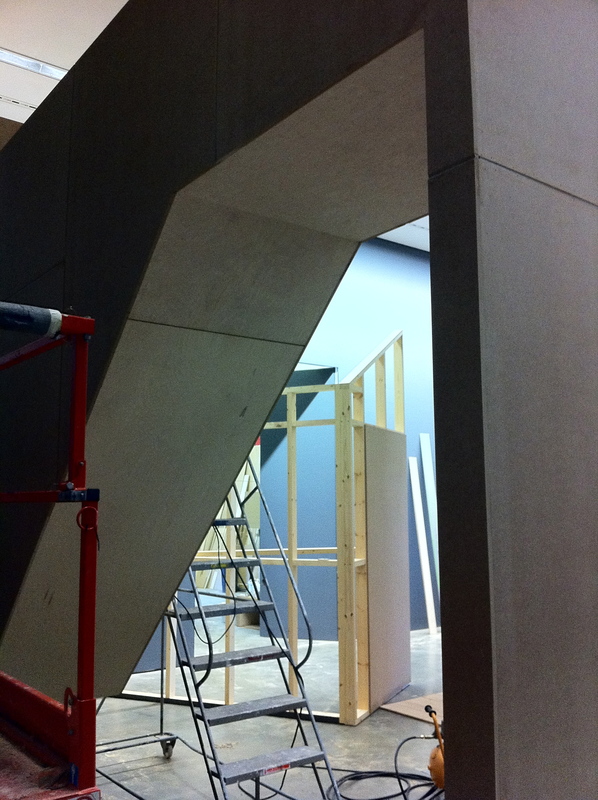 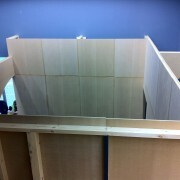 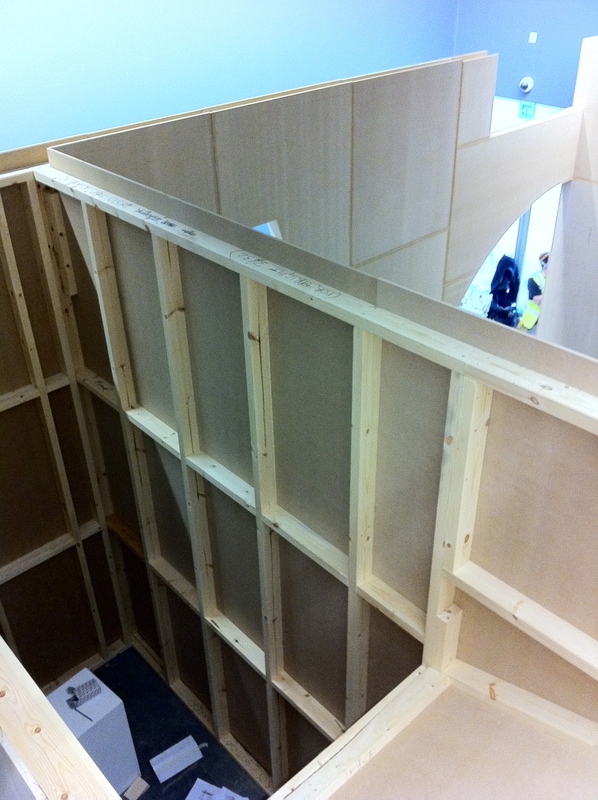 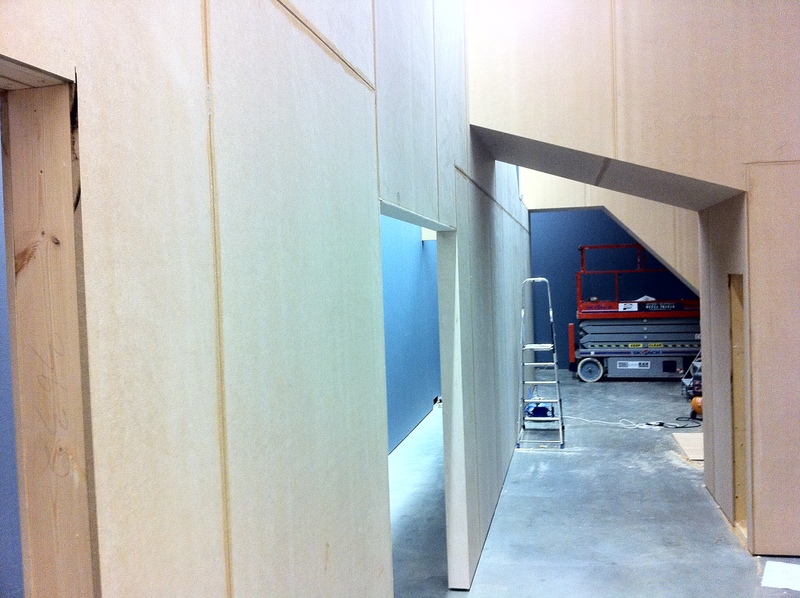 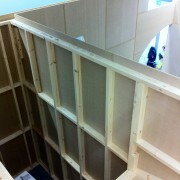 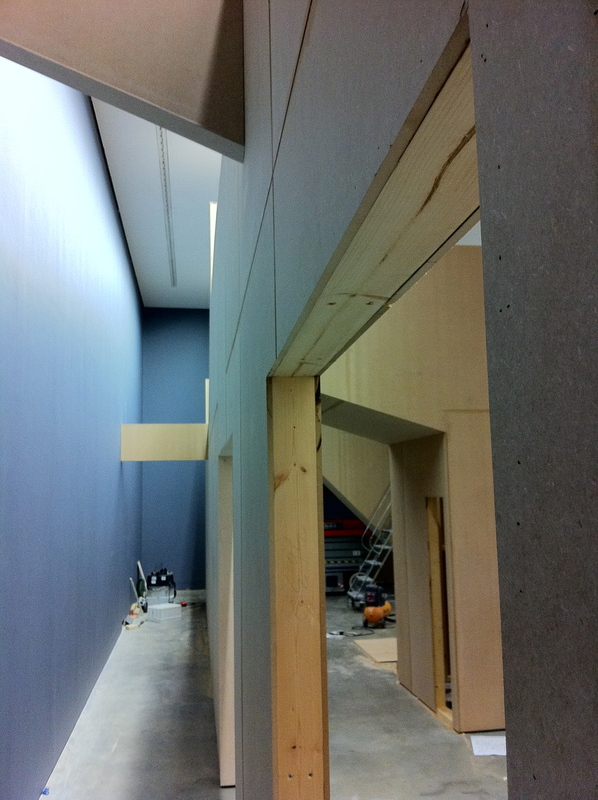 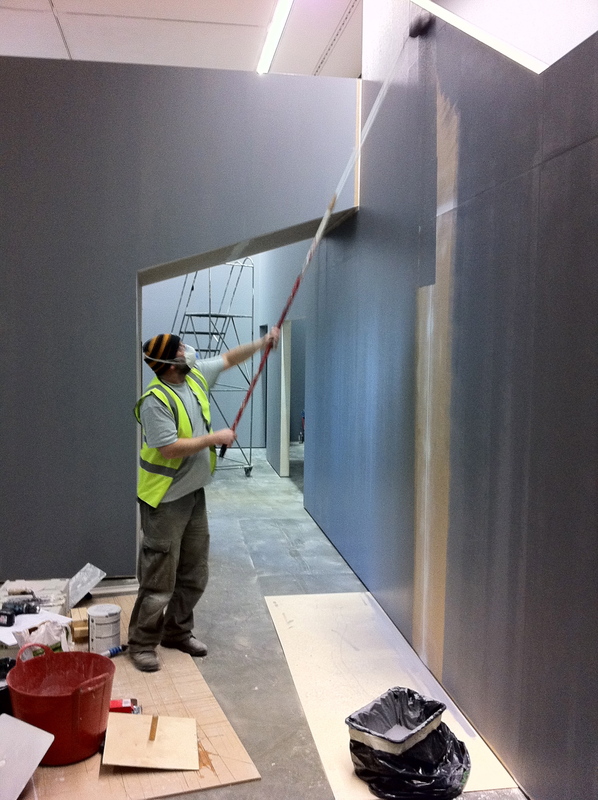 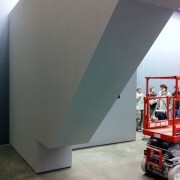 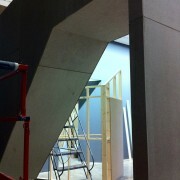 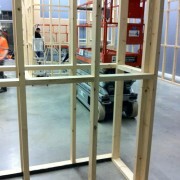 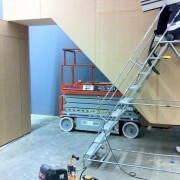 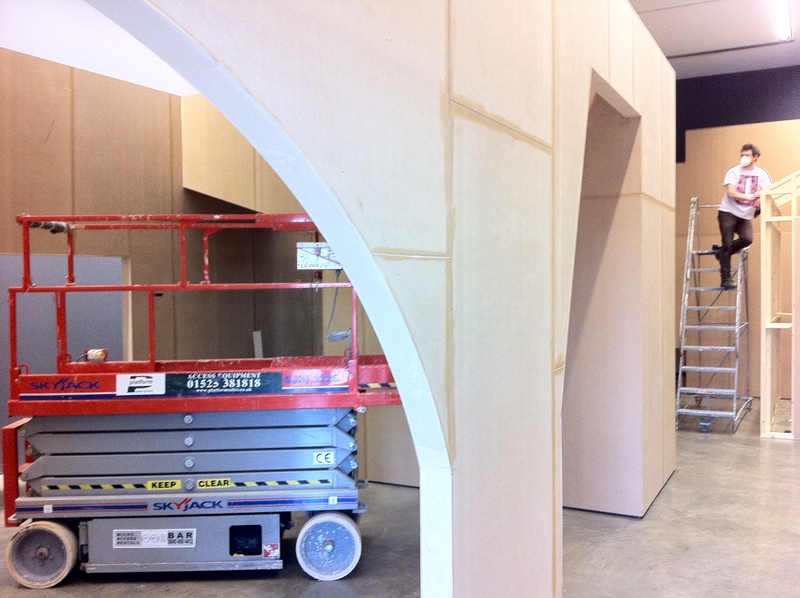 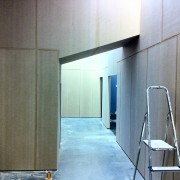 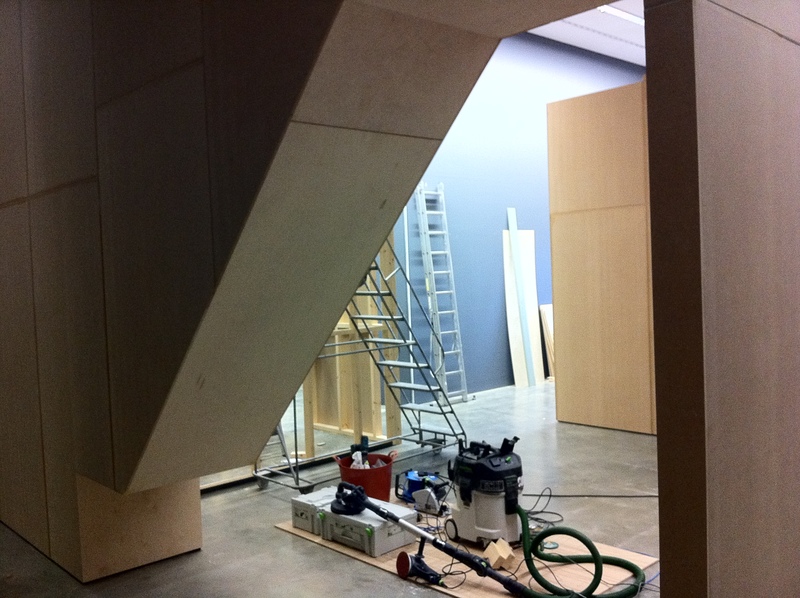 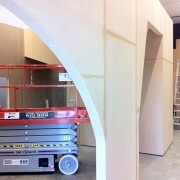 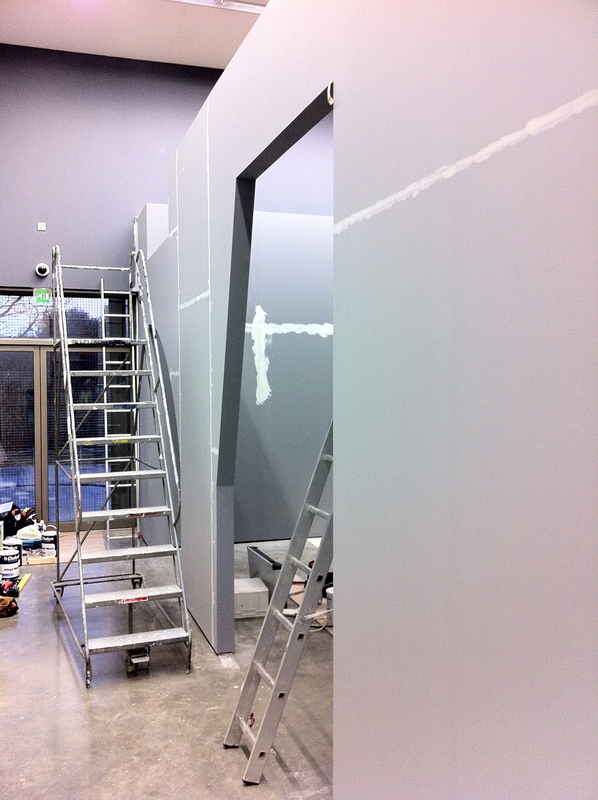 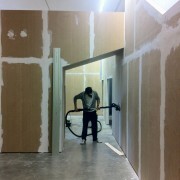 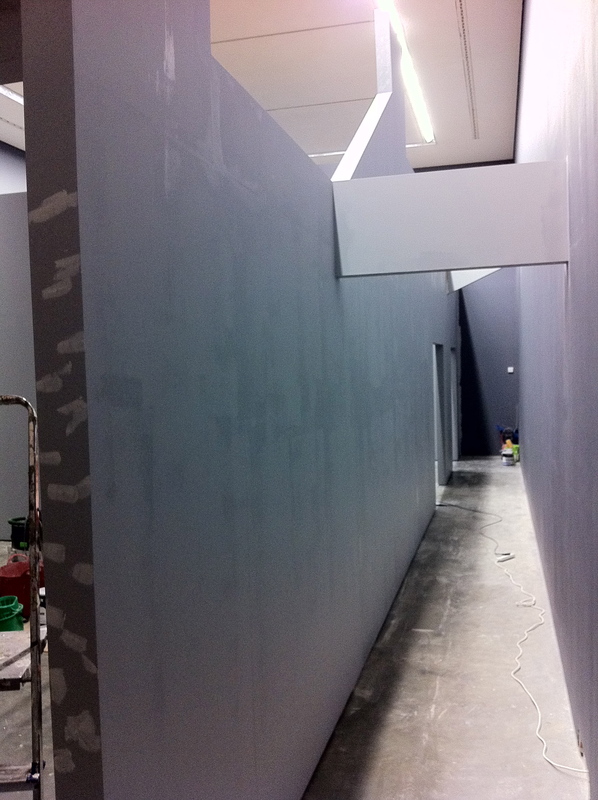 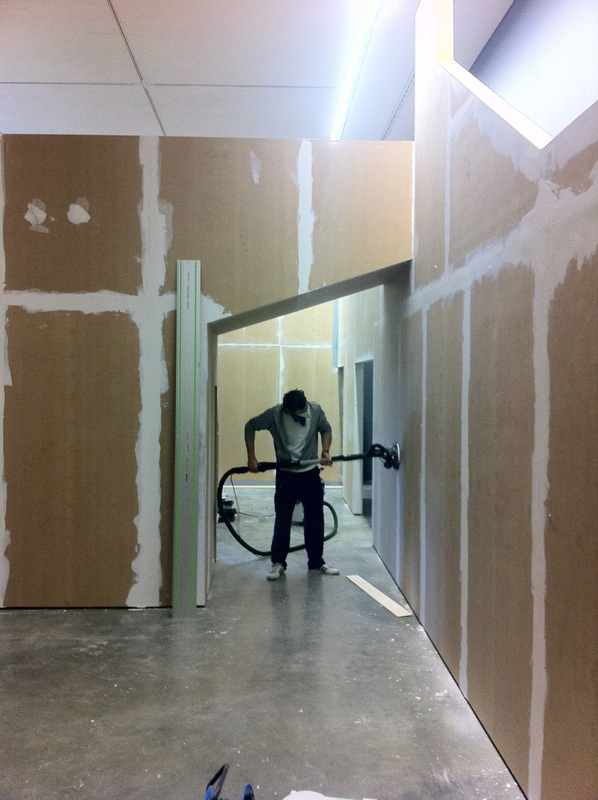 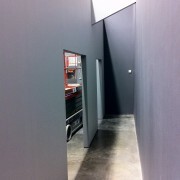 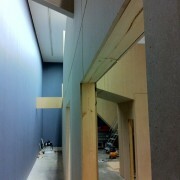 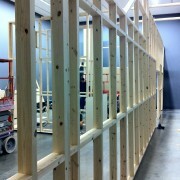 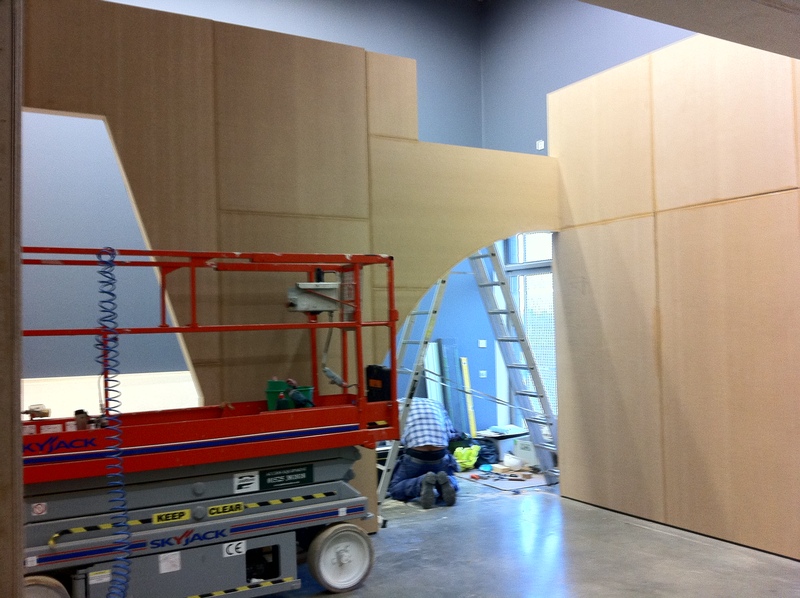 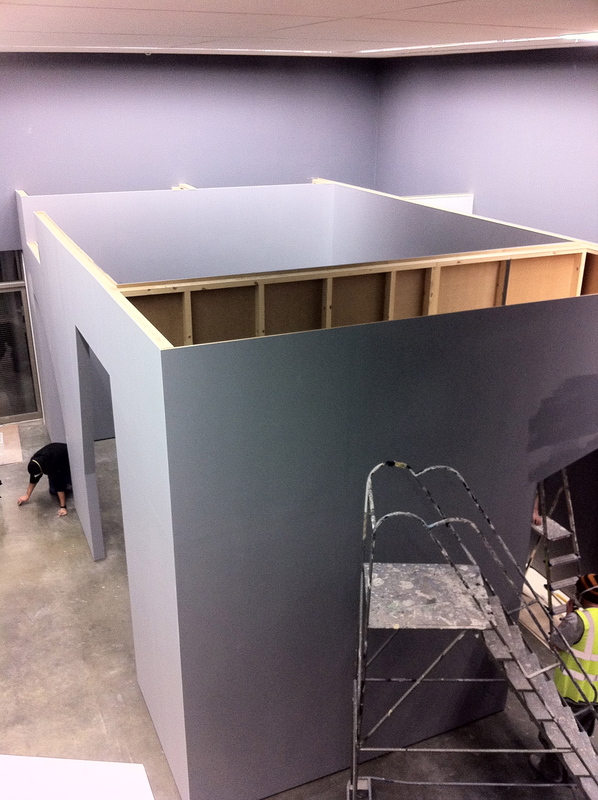 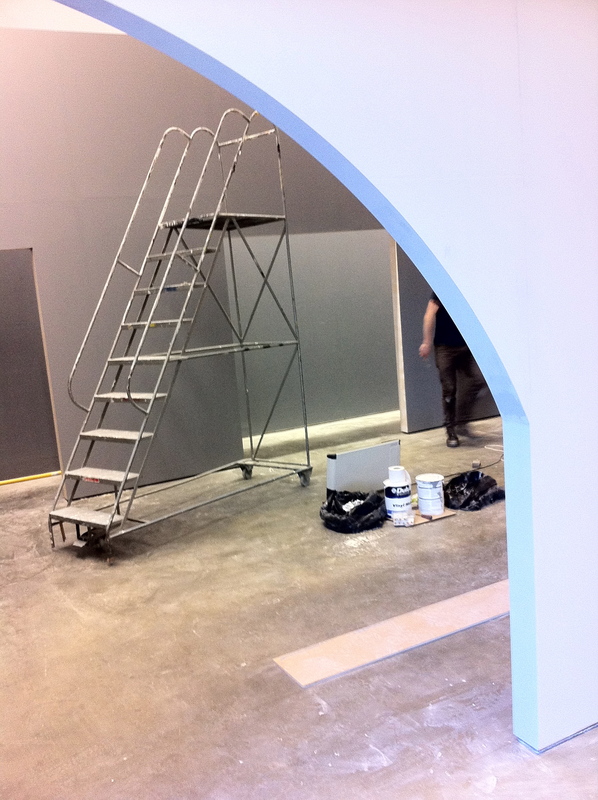 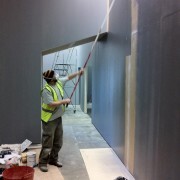 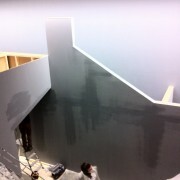 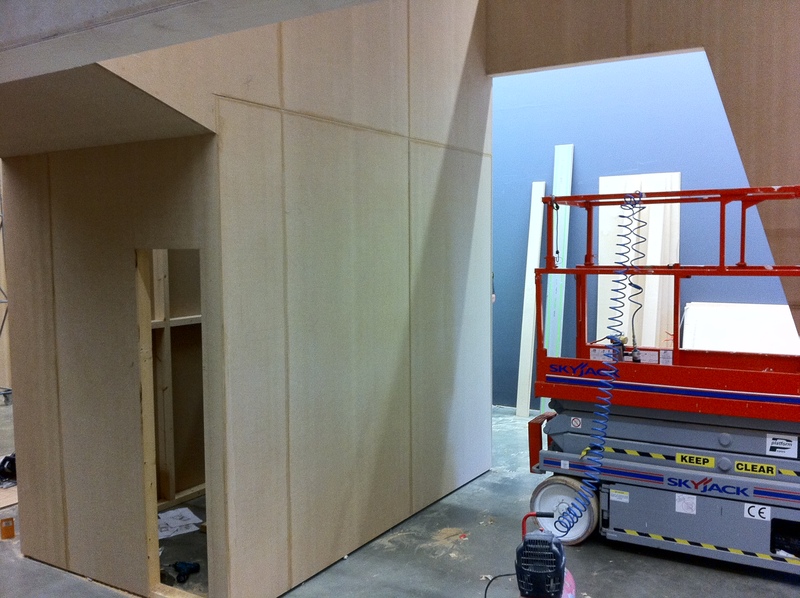 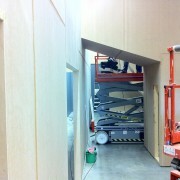 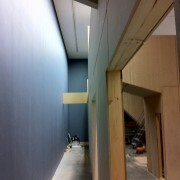 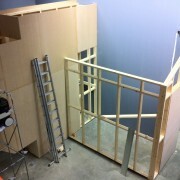 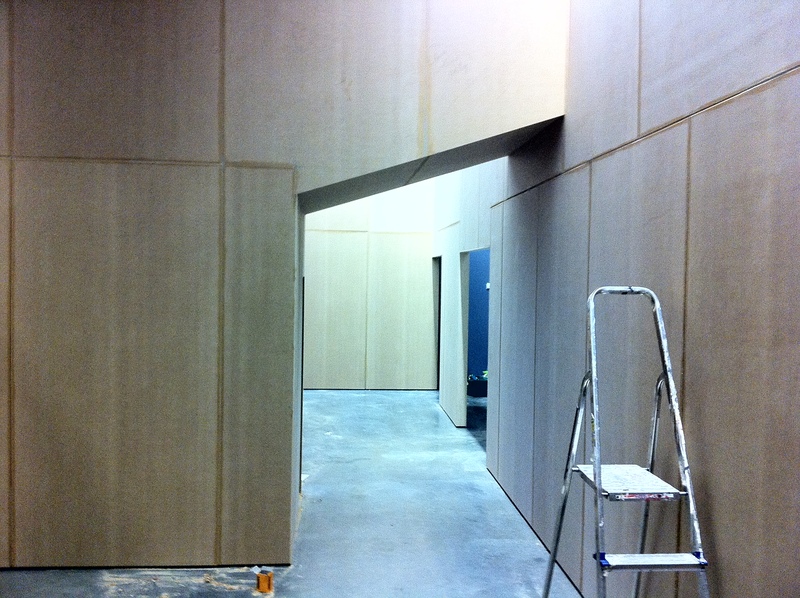 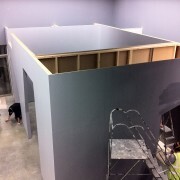 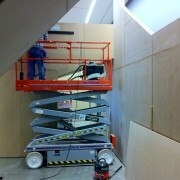 We recently project-managed half of an ambitious wall build for Daria Martin’s latest show at Milton Keynes Gallery. 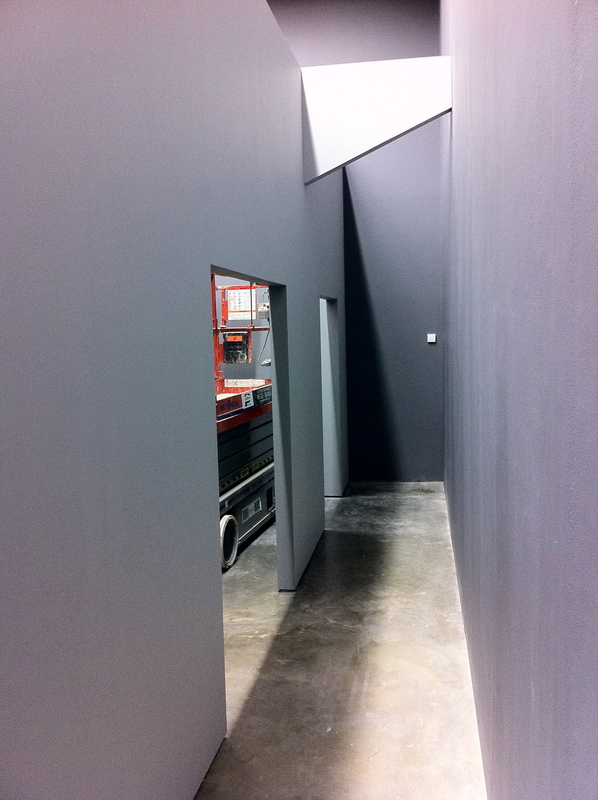 MKG and Daria worked with Post-Works, a London based design company, who designed a series of walls and corridors for her projection spaces. 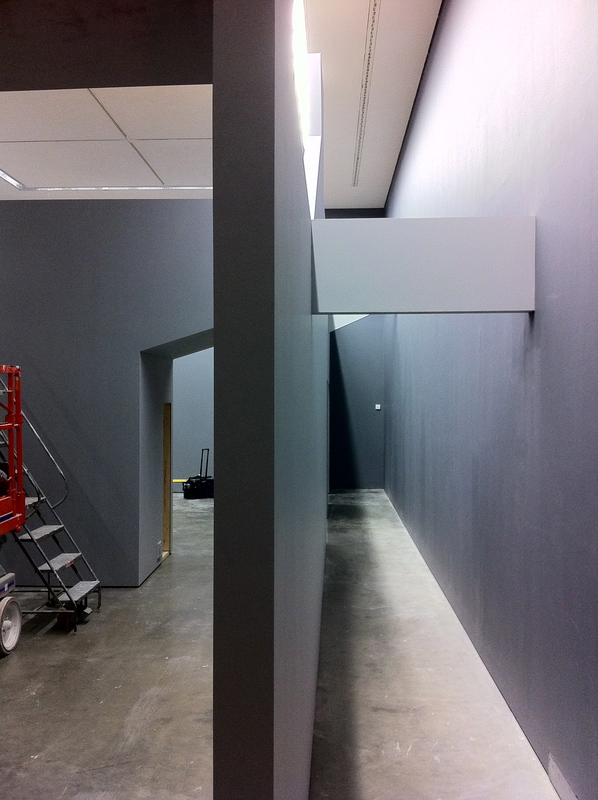 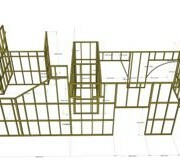 The walls were made up of complex curves and angles jutting out from different heights of wall sections, and painted subtly different tones of grey. 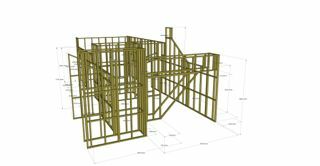 This project was challenging not just because of the complexity of the build, but also because we had 6 days to complete it. 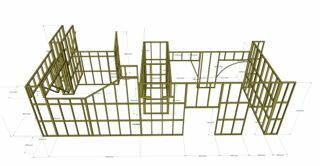 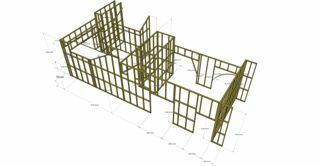 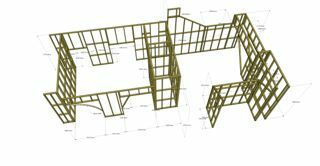 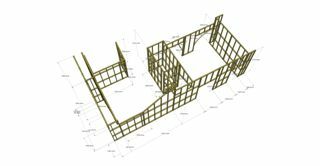 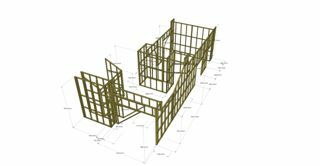 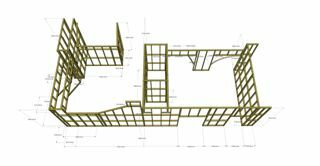 The drawings were taken from the 3D Google Sketchup drawings which we did to rationalise the designer’s architectural plans and elevations. 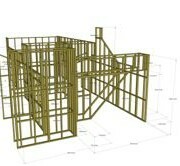 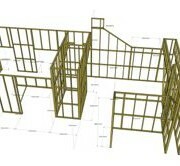 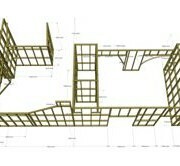 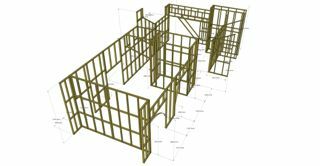 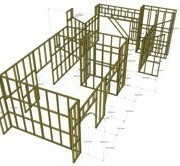 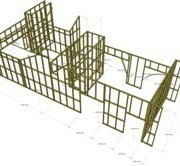 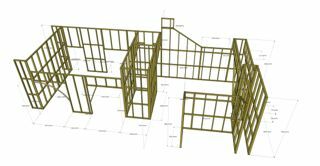 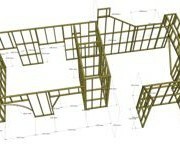 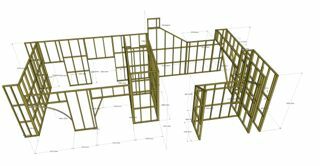 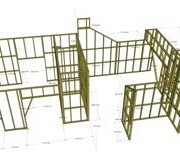 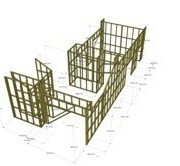 This way we could work out how much timber we needed for the project, and get an idea of the basic frame build based on the board sizes we would use. 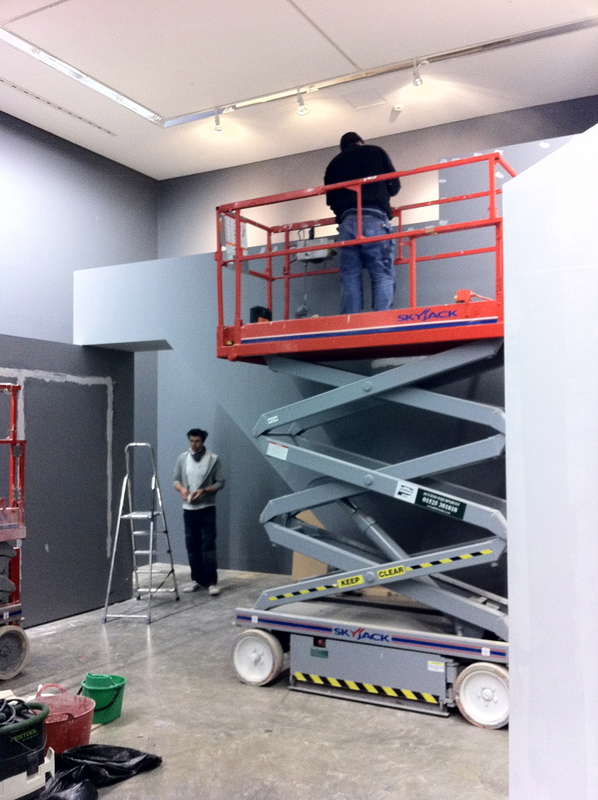 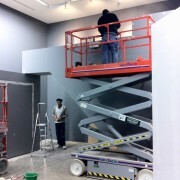 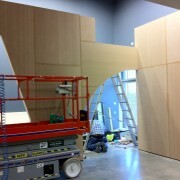 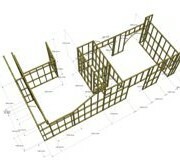 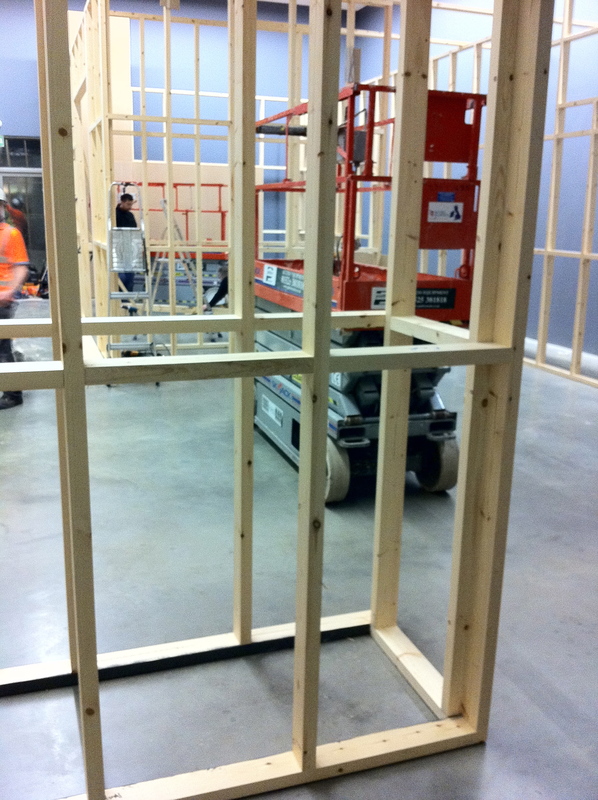 Click here to see the gallery’s installation photos.